Today is my birthday. So, I thought an interesting story to tell might be the “birth” of one of the series I have been working on. 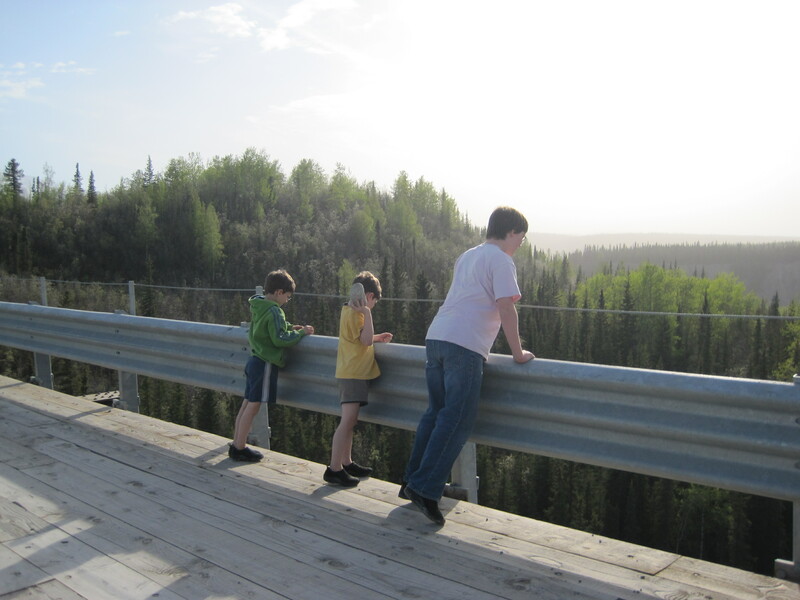 I thought I would collect a few photos, write a few words, pop them in place, and be done. Viola. 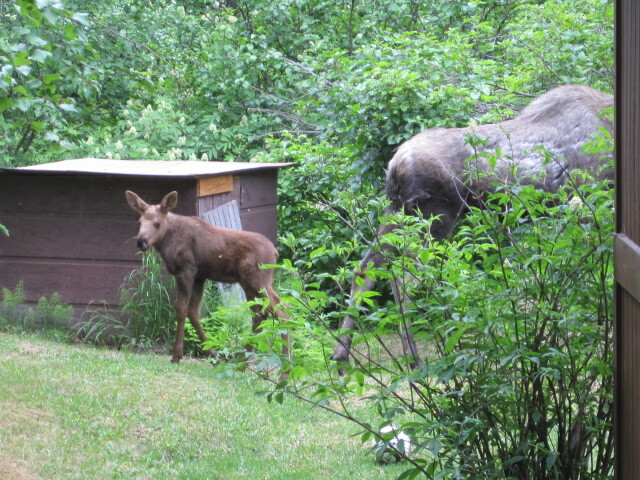 So, I began digging in my photos and the next thing you know, I am looking at all the photos we’ve taken of moose in our yard, and then the photos of the kids playing out in McCarthy, and finally photos all the quilts I’ve ever made. Once you start it is hard to stop. 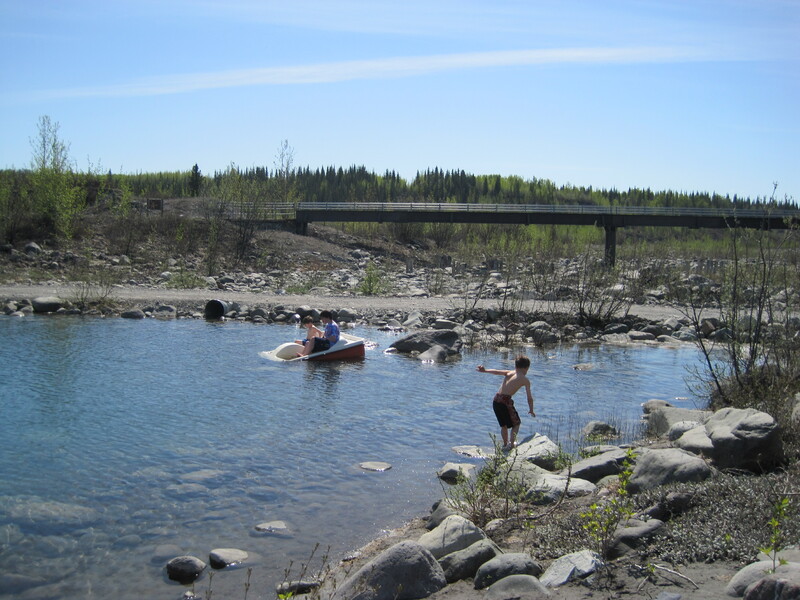 We are a perfect mid-hill resting point for many Anchorage moose. 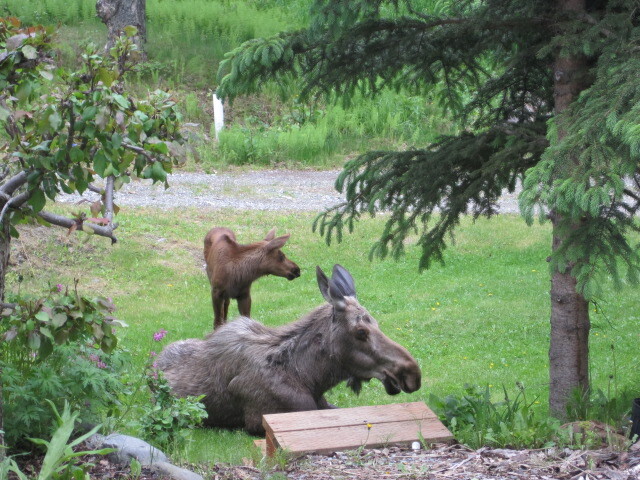 One momma just loves to have her babies in our backyard. The wood in the photo is the top of a stairs Walt built leading to our front yard garden. I have actually seen moose use them! No kids or moose, but its my birthday and I love this photo. I took it the day Hidden Creek Lake went in 2010. For the longest time, I thought working in a series was silly. To me, it seemed as if artists who worked in a series were really just one hit wonders who did the same thing over and over again except maybe they made it bigger, or smaller, or changed the color. There are artists out there who do that, and after a while their work looks like a broken record sounds. The idea of making something over and over again felt like the equivalent of being on a creative hamster wheel to me. And then one day, I had a realization. Part of why I love Frank Stella’s work, and David Hockney’s work, and Frieda Kahlo’s work is because when I see their work, I recognize it. And for some strange reason that makes me happy. I can see what is repeated and what is new which makes me feel clever. The way their art looks is their personal signature–it is their being translated into a two dimensional surface. That’s exciting to think about. All of a sudden working in a series became a VERY appealing idea. I wanted to do it too. I think there are many different ways an artist can create a series. But what most interested me was the idea of picking something–a location, or an idea, or an object and then moving 360 degrees around that space and see what happens. Because I began this journey as a traditional quiltmaker, one of the most inspiring things for me are traditional quilt blocks. I wanted to take a traditional quilt block and push it around a bit and see what happened. 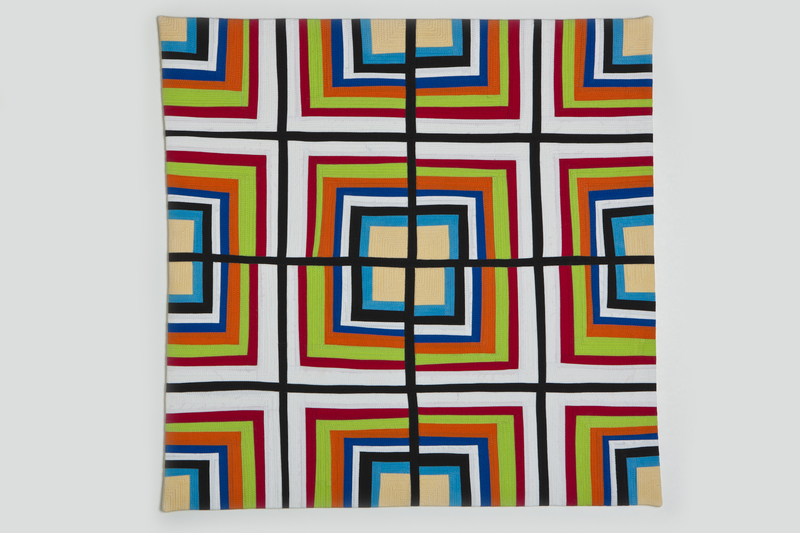 I settled on a seven patch block–three squares on each side and then a long strip down the middle. Well, it turns out that this isn’t really a quilt block! 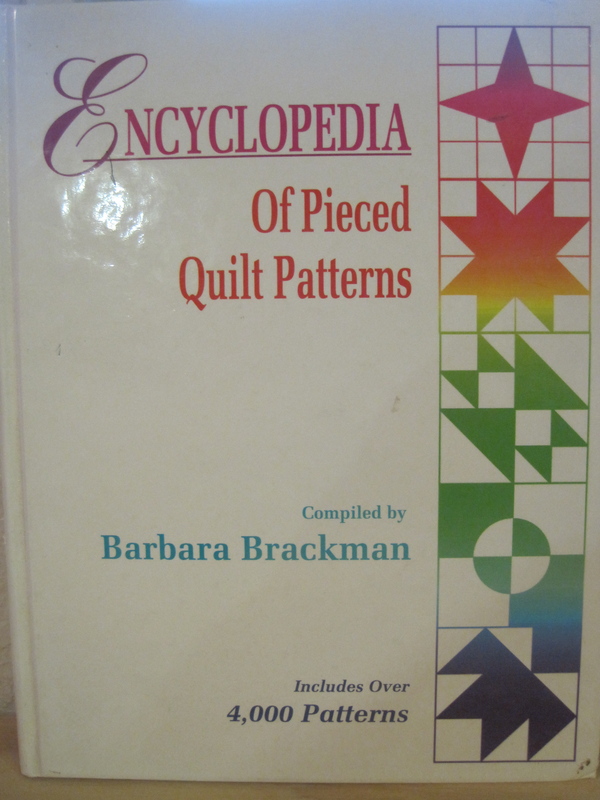 It sure looks like one to me, but I have spent quiet a bit of time searching for it in the Encyclopedia of Pieced Quilt Patterns by Barbara Brackman, and I have yet to find it. 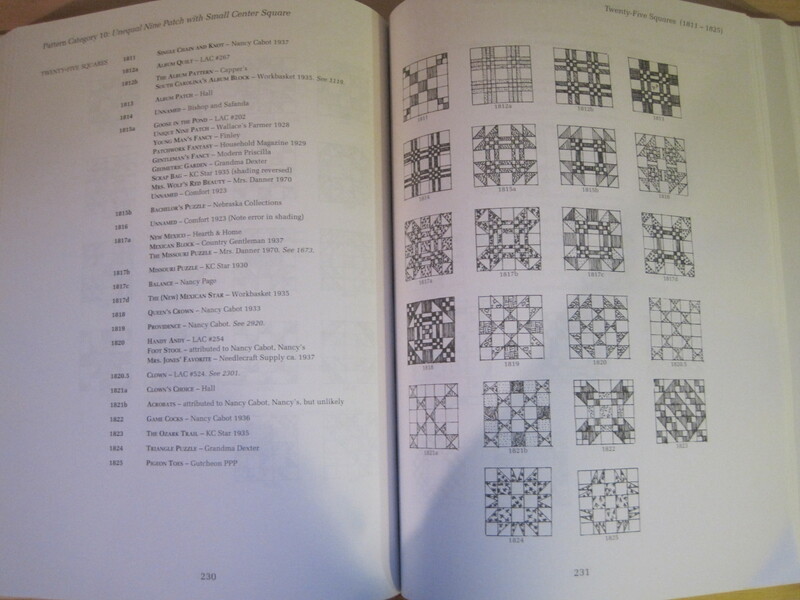 You can also get a computer version of this book that allows you to build quilts with any of the blocks in the book. Here is the page that has the blocks that most resembled the block I wanted to use. If you have this book, and find a seven patch block, let me know. At this point, May 2010, I attended a workshop taught by Nancy Crow at the Crow Barn. One of our assignments for the week, was to take our “linear motif” and try to come at it from as many different angles as possible. So, these are my very first baby steps–the beginning of the series I call Color Grids. After that class, I knew I was on to something. I was moving in a direction that felt fun and exciting. 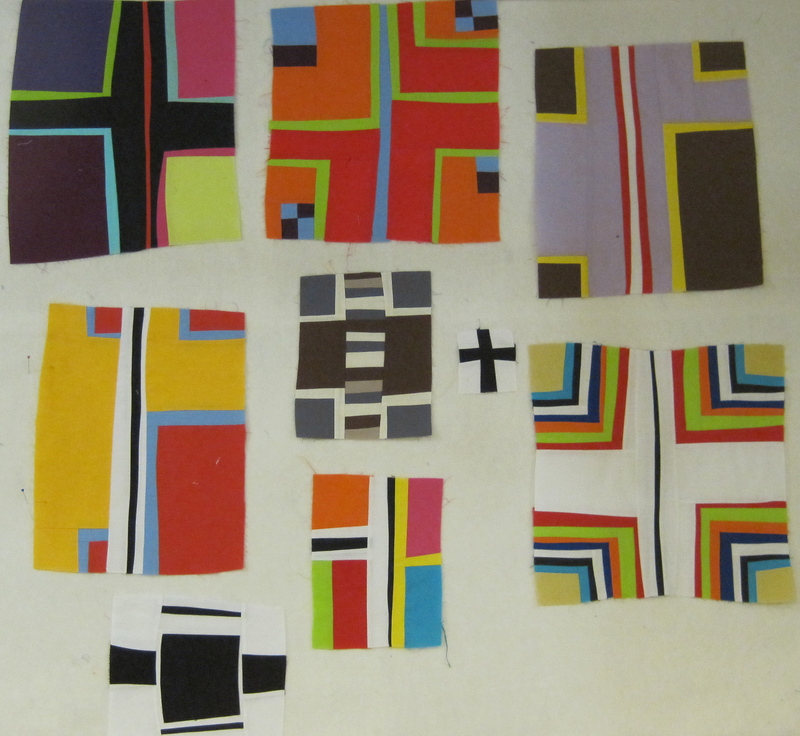 If you have taken any of Nancy’s classes you will recognize that my work is directly inspired by two of them–Strip Piecing and Restructuring and Linear Motifs. I’ve been working hard to combine what I learned in those two classes and make quilts that are truly me. Okay, this is as far as we are going to get today. I don’t know why I thought I could tell this entire story in one sitting when it has taken hours and hours of stitching to get here. I hope you will come back tomorrow. Jessica, Nancy, Shelly, and Kehli along with all the other January 15th B-days–Happy Birthday to you, too! 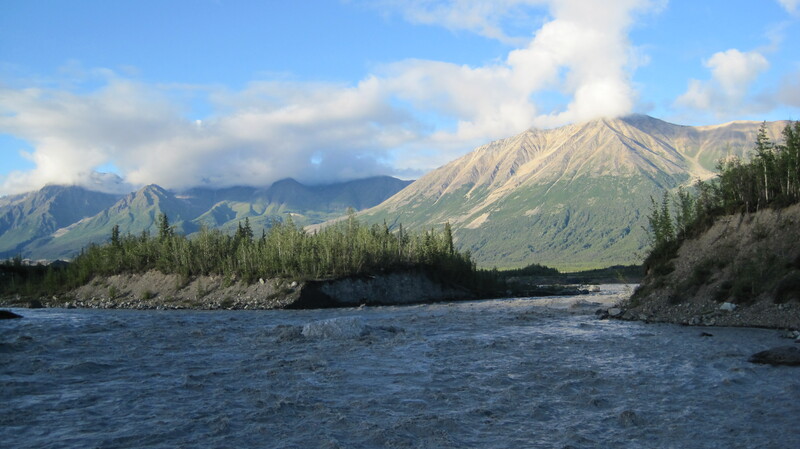 15 Jan	This entry was published on January 15, 2013 at 5:50 PM. 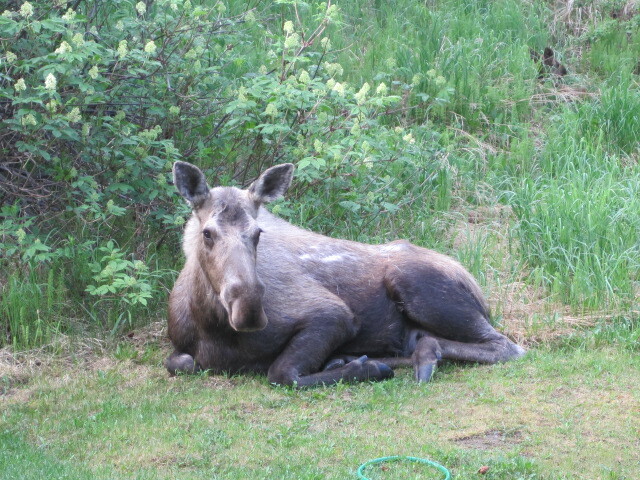 It’s filed under Quilt Stories and tagged Color Grids, Moose in the Yard, Working in a Series. Bookmark the permalink. Follow any comments here with the RSS feed for this post.